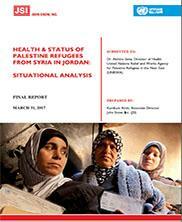 Jordan - Where We Work - International Health - John Snow, Inc. Since 1989, JSI has managed projects in Jordan focused primarily on reproductive, maternal and pediatric health. JSI’s early in-country initiatives included the Resources for Child Health (REACH) Project, which improved and increased immunization systems and coverage, and MotherCare, USAID’s flagship maternal health care program. 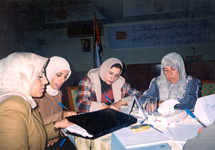 Between 1997 and 2006, JSI worked with Jordan’s largest nongovernmental family planning provider, The Jordan Association for Family Planning and Protection (JAFPP), building organizational capacity to provide modernized, integrated family planning services. More recently JSI has conducted a comprehensive study of Jordan’s disproportionately high neonatal mortality rate on behalf of UNICEF. JSI is conducting a study to determine factors associated with neonatal mortality in Jordan, which will clarify reasons for health system delays contributing to neonatal death and identify subtle changes that can increase neonatal survival in Jordan. JSI supported the delivery of high-quality family planning and women's health services by expanding and improving the services and the management of the Jordanian Association for Family Planning and Protection.